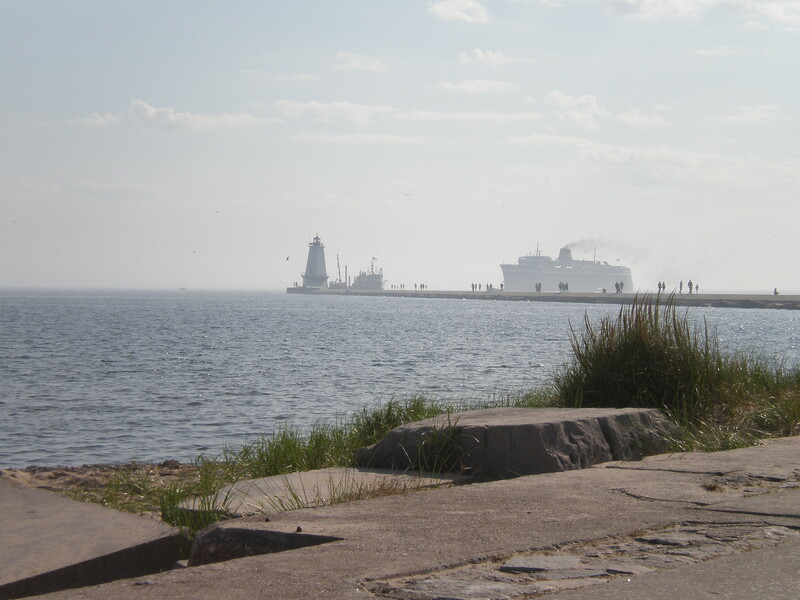 Ludington Lighthouse with the S.S. Badger heading into port in the background. The Badger is a car ferry that travels between Ludington and Manitowoc, WI during the summer months. Chuckwagon has the most amazing pizza ever. I realize that this is a matter of opinion and that not everyone may agree. In fact, Evan doesn’t agree, lol. They also offer a variety of grinders, although I’ve never had one. The restaurant itself is small inside, though their pizzas are anything but. As you can see, they are not shy with the toppings. That’s what makes their pizza so good! 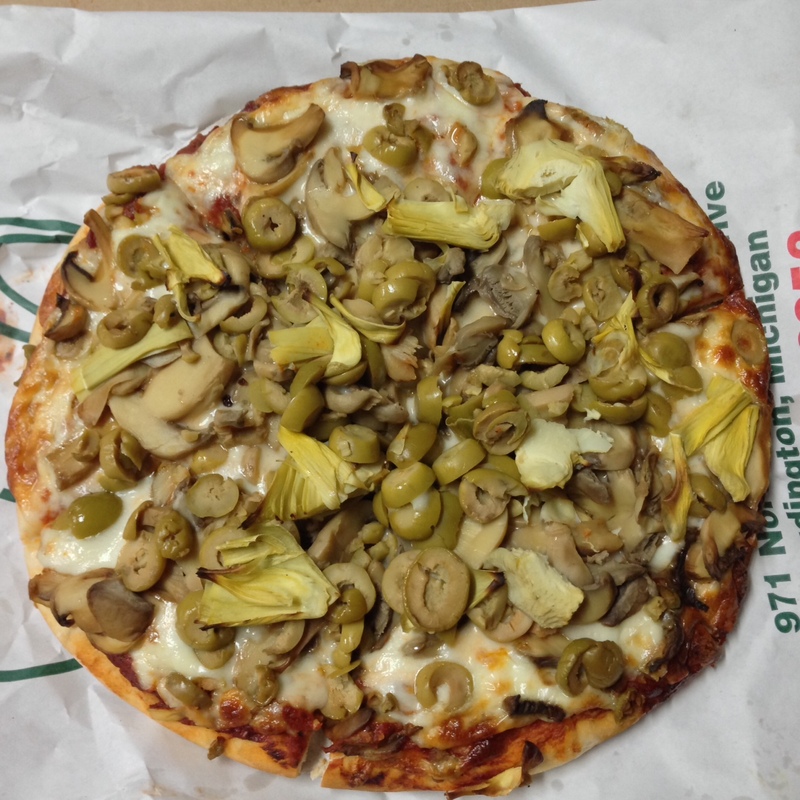 Shown above is a combination that my cousin, Amy, and I have been ordering the past few years — green olives, mushrooms, and artichoke hearts. In my book, a pizza isn’t a pizza without green olives. And with the large quantity they pile on every slice, I am in pizza heaven! 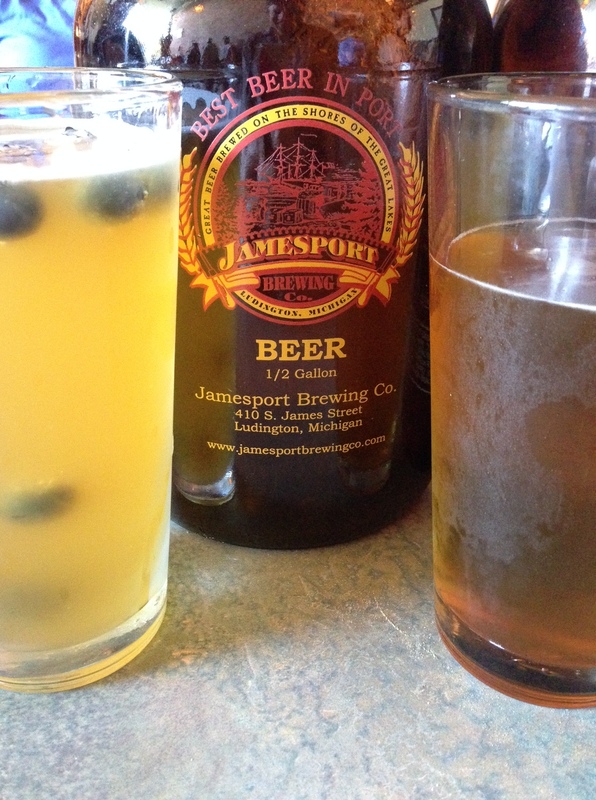 Another our favorites is the Jamesport Brewery. We visit this local gem more than once every year. They have a great food menu with plenty of salads, sandwiches, wraps, and entrées to choose from. 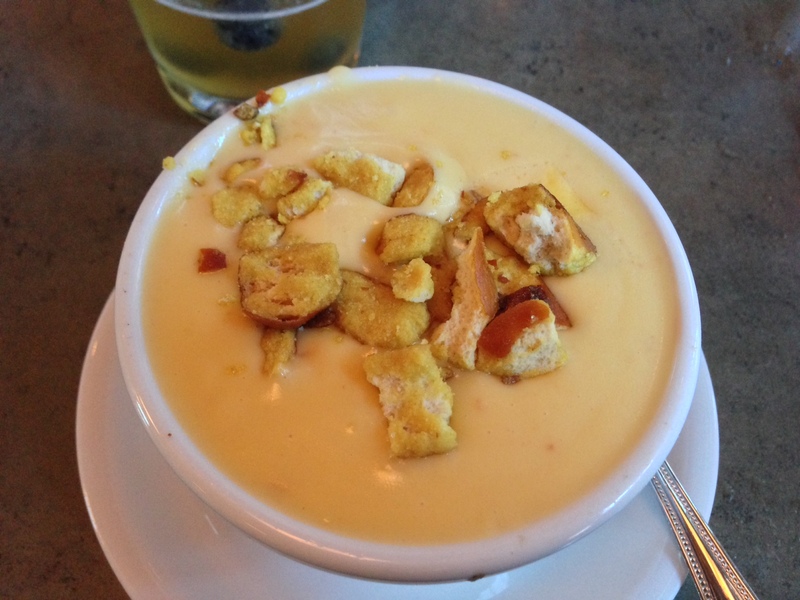 I always get a cup of the Jamesport Cheese Ale Soup. Not only is it topped with chunks of honey mustard pretzels, it also has cubed bits of ham throughout. Need something to wash all of that deliciousness down? Try one of their great beers. My summer favorite is the Blueberry Wheat, which comes with fresh blueberries floating on top. There’s always room for dessert, right? No place in town does it better than the House of Flavors. A staple in town for decades (66 years to be exact), the House of Flavors is an old fashioned 1950’s diner serving up breakfast, lunch, and dinner daily. But the line you see out the door when driving by isn’t for the food — it’s for their homemade ice cream! 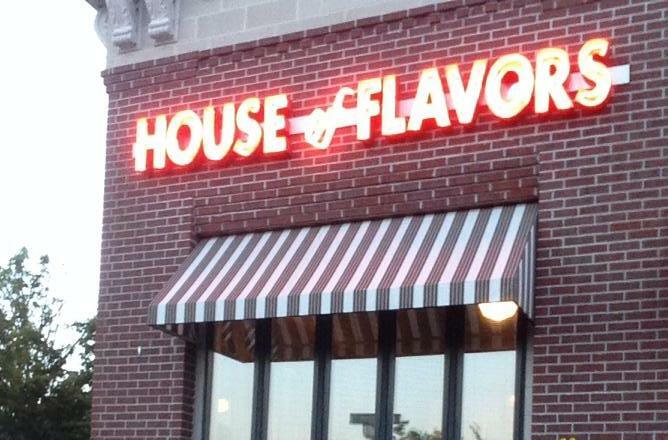 Evan teases that as far as I am concerned, it should be called the House of Flavor. 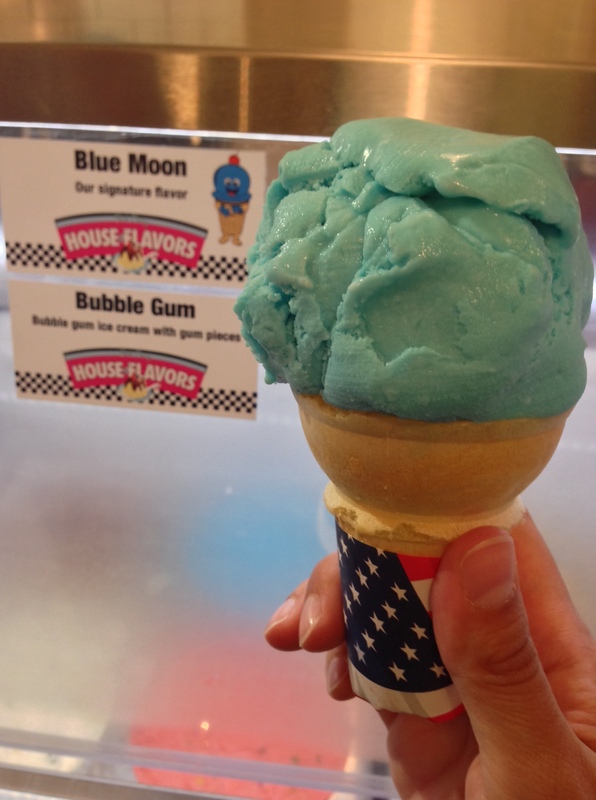 There is only one option for me – their mystery flavored Blue Moon! It’s not quite fruity and not quite any other flavor known to me either. It’s simply amazing. 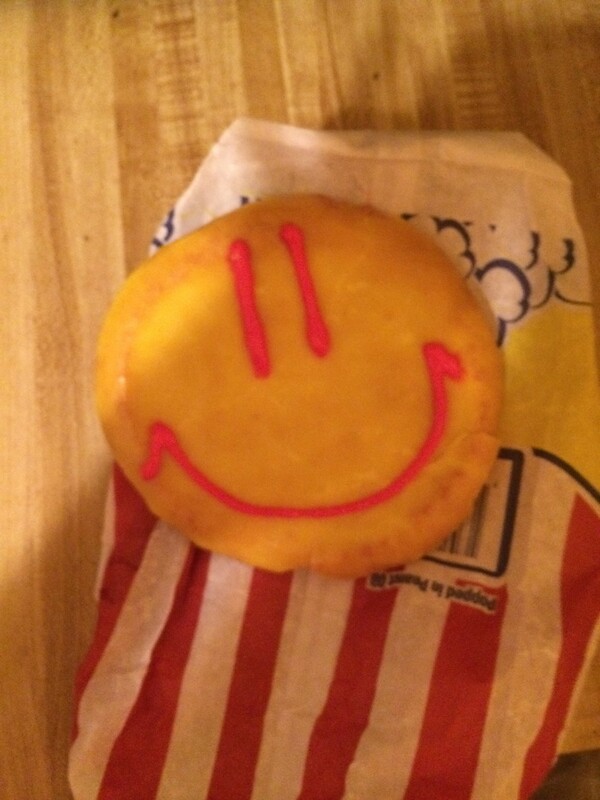 If you still have a sweet tooth after visiting House of Flavors, be sure to stop at the Wesco gas station (near the intersection of Ludington Avenue and Jebavy Drive) for one of their smiley face sugar cookies. 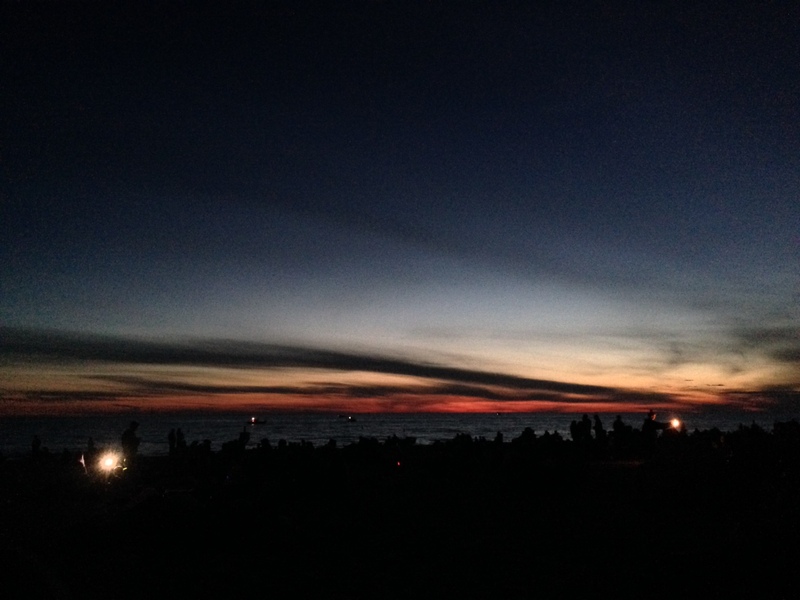 Photo courtesy of my cousin, Amy. Thank you for sharing, Amy! 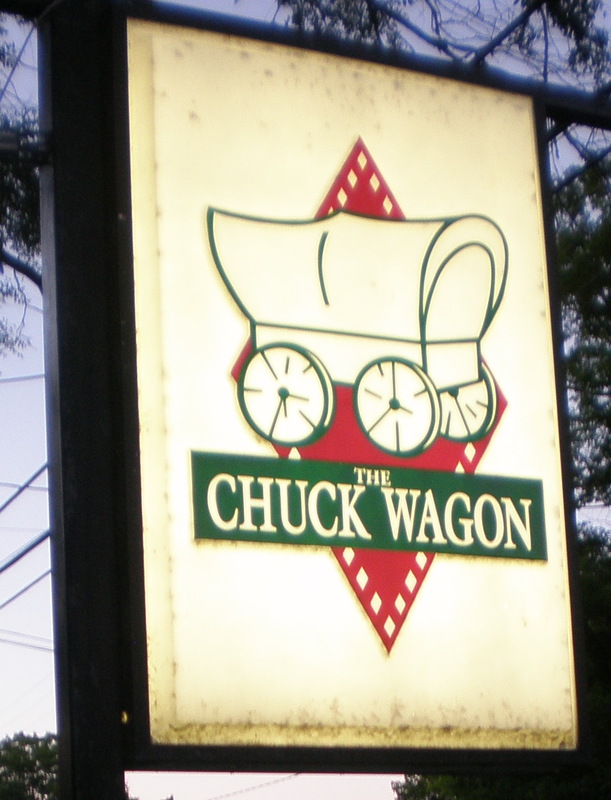 While we visit Chuckwagon, Jamesport Brewery, and House of Flavors multiple times during our stay, there are still a lot of other great places to grab a bite or drink in town. 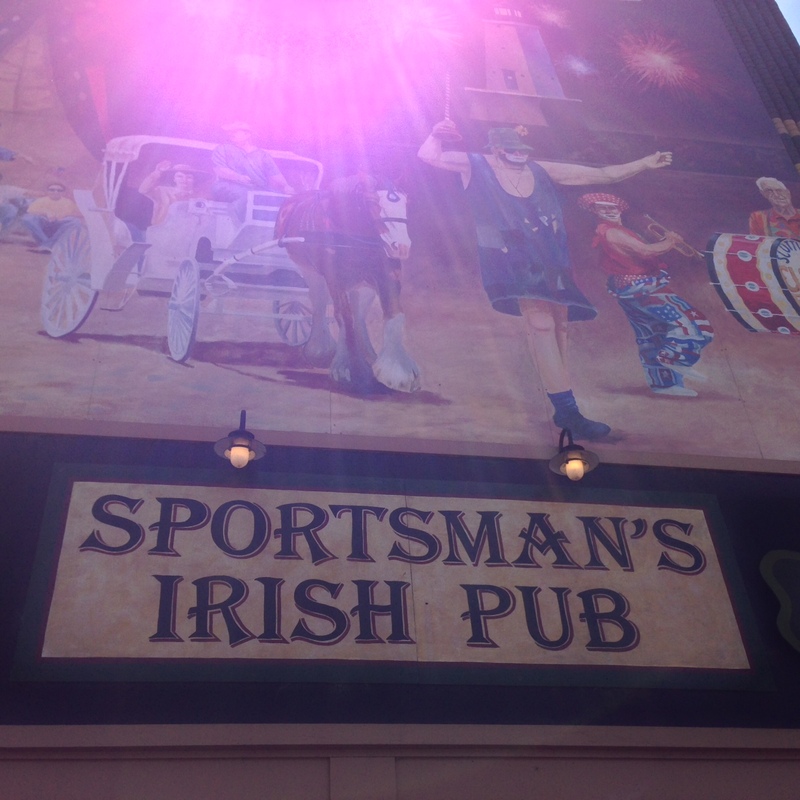 Sportsman’s Irish Pub is a favorite for their great bar food. They have excellent pizza and incredible nachos. 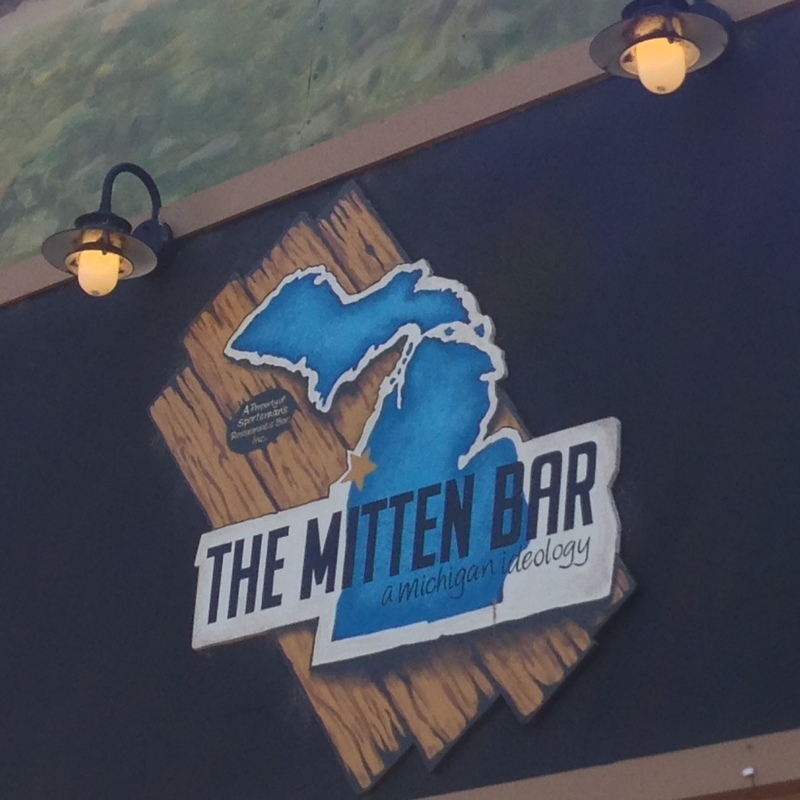 After dinner at Sportsman’s, we like to head next door to their recently opened Michigan beer bar, The Mitten Bar. They have a tasty selection of Michigan craft beers. Scottys – Great for brunch on the weekends or dinner any night. 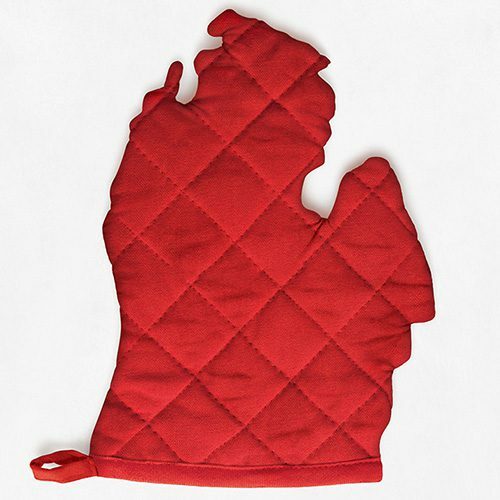 Their signature dish is their Prime Rib. Brenda’s Harbor Café – Only open for breakfast and lunch. You don’t want to miss it! Mancino’s Pizza & Grinders – Amazing grinders delivered in a cardboard box which keeps it perfectly intact until you’re ready to eat. Old Hamlin – A family restaurant with an excellent brunch buffet on the weekends. Crowds waiting for the fireworks to start at Stearns Park downtown on the 4th of July.